Une autre illustration du fim Turbo Kid, mettant en vedette le Kid, dans les terres perdues. Je me tannerai jamais de ce personnage! 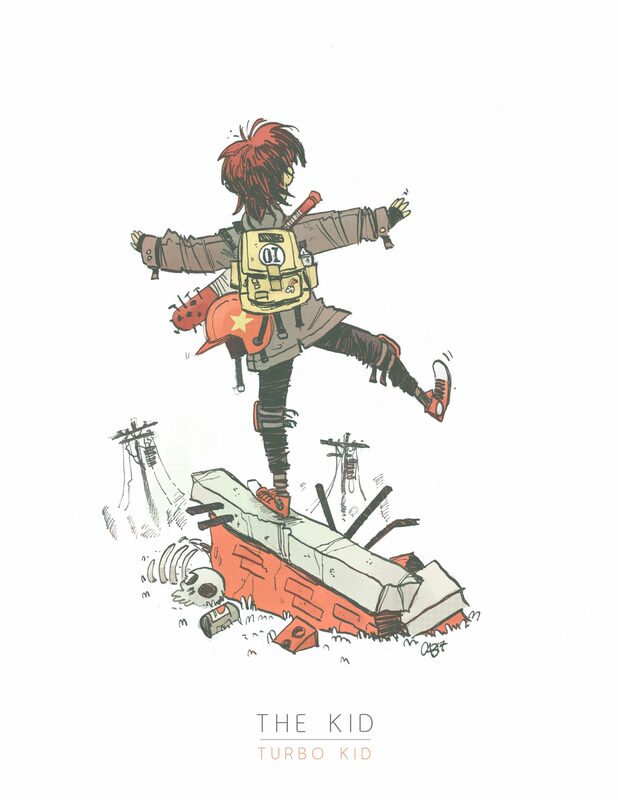 Another illustration from the movie Turbo Kid, featuring the Kid in the wastelands. I’ll never grow tired of this character!